On the 26th October, a copy of this email sent on 4th October by Juan Antonio Ruiz Jiménez, the secretary of Asevin (Asocianción de Vinos de Jumila) to some 20 or 30 bodegas in the Murcia region was published here on Facebook by Vincent Pousson, who lives in Barcelona. 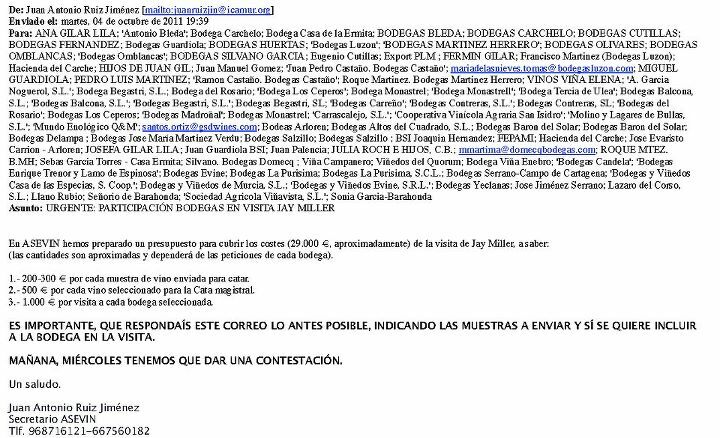 Entitled 'Urgente Participatión Bodegas en Vista Jay Miller' (Urgent call to bodegas who want to participate in a visit Jay Miller) the email set out a tariff for those wineries who wished to be involved in a visit by Jay Miller, who is part of the Robert Parker team and who has a responsibility for reporting on Spain for the Wine Advocate and erobert parker. 1) Between 200-300€ for each wine submitted for tasting. 2) 500€ for each wine submitted for consideration for inclusion in a master class – presumably to be given by Jay Miller during the course of his visit. 3) 1000€ if a bodega wanted to be visited by Jay Miller. The story took off this morning when Vincent Pousson posted the story on Jacques Berthomeau's blog here. 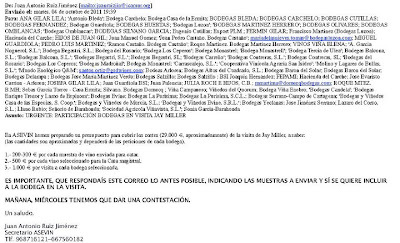 Assuming that the email from the secretary of Asevin to various bodegas in the DOs of Bullas, Jumilla and Yecla is genuine, it raises a number of questions. a) I assume that the bodgas contacted are all members of Asevin, so is this cost of 29,000 € a fee that the organisation is charging its members in addition to any membership fees Asevin charges? b) Or is the 29,000€ (or part of it) going to some organisation, company or individual who has undertaken to arrange this visit of Jay Miller? On both Facebook and Jacques Berthomeau's blog there are suggestions that Pancho Campo MW and his Wine Academy of Spain are in some way involved, although from the email above there is no indication that this is the case. However, Pancho Campo MW and Jay Miller have made visits together in the past – Navarra (in July 2011) and Priorat (in the early part of 2011). c) How was this figure of 29,000€ calculated? e) Is Jay Miller aware of the tariff set out by Asevin? If he is aware of this tariff when did he learn of its existence? f) If bodegas have to pay to have their wines tasted by Jay Miller, irrespective of who receives the money, is this not in breach of the Parker code as payment inevitably creates a 'sub-segment category' and he will not have 'access to all wines'. g) Assuming that Jay Miller is now aware of these charges, will he inform Murcia that he will not be able to visit the wineries if they are expected to pay for submitting samples and for visits? h) Jay Miller is reported to have received $15,000 for the master class he gave during his visit to Navarra. Is he also receiving an equivalent fee for the master class to be given in Murcia? i) If Pancho Campo is involved in this visit of Jay Miller to Murcia what exactly is his role? 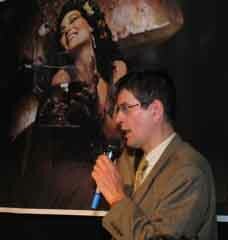 A significant part of Pancho Campo's business is promoting Spanish wine companies and regions. Nothing wrong in that but it does call into question how Jay Miller can guard the 'independence' demanded by Robert Parker if he is closely associated with Pancho Campo. Spanish companies or regions may be tempted to put PR business Campo's way because rightly or wrong they believe he has influence over Miller. j) In July the Mercados de Vino reported that Pancho Campo MW had charged Navarra around 100,000€ to bring Jay Miller to the region. Jim's Loire covered this here. Was this story correct or was it the region rather than Campo who charged its members? Was Miller's reported $15,000 lecture fee part of the 100,000€ cost of the visit or in addition? k) Was there in Navarra a tariff similar to that for Murcia for submitting samples and visits? I hope that some detailed answers will be forthcoming to the serious questions raised by this email from Juan Antonio Ruiz Jiménez. Hervé Lalau – a 'serious and professional' blogger? 'How do you see the role of the wine critic evolving in the future? 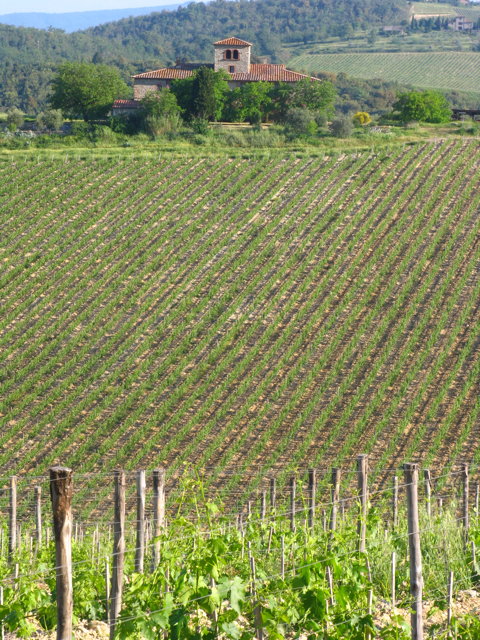 Why rely on Merlot and Cabernet Sauvignon to express a Tuscan terroir? Grape varieties in Chianti Classico have long provoked controversy and a recent exchange of emails over terroir, indigenous and imported varieties with Francesco Ricasoli suggests that little has changed. Baron Bettino Ricasoli, Francesco’s ancestor, is often credited with the ‘recipe’ for Chianti Classico as Jancis Robinson MW explains in The Oxford Companion to Wine: ‘… who in a letter of 1872 , synthesized decades of experimentation and recommended that the wine be based on Sangiovese (for bouquet and structure) with the addition of Canaiolo to soften the wine.’ Jancis notes that Ricasoli’s ideas were only gradually adopted as Canaiolo remained the basis of Chianti Classico until the end of the 19th century. It was the DOC regulations of 1967 that set the rat amongst the cypress trees and olive groves with the requirement that there should be between 10% and 30% of white grapes – Trebbiano and Malvasia – in the red blend. Along with the generous yields allowed these regulations paved the way for the emergence of the super-Tuscans with French varieties – Cabernet Sauvignon, Merlot and Syrah – being popular planting choices. Initially these ‘super-Tuscans’ were plain vino da tavola later becoming IGTs. For many years, despite efforts to promote Chianti Classico, the super-Tuscans have been the most expensive and prestigious wines at many of the Chianti estates. Quite often an estate’s flagship wines are 100% Merlot or Cabernet Sauvignon or a blend of the two and are sold at far higher prices than the estate’s Chianti Classico Riserva. All too often these super-Tuscans have been super only in price, alcohol, extraction and wood influence with the Chianti Classicos and the Riservas far more interesting wines, more enjoyable to drink and much better value. Fortunately the requirement to use white grapes was much reduced when Chianti Classico became a DOCG in 1984 and from 2006 their use was banned altogether. In visits to Chianti Classico over the last couple of years or so I sense that the pendulum may be slowly swinging towards fully valuing Chianti Classico Riserva. In time many super-Tuscans might be recognized as an international cul de sac. I would hope to see a time when as a general rule the Riserva is the top wine. It would also be interesting to see an increased emphasis on the use of the other local varieties like Canaiolo and Colorino to see if they produce a more authentic expression of the Tuscan terroir than do Merlot and Cabernet Sauvignon. However, if a recent exchange of emails (see below) with Francesco Ricasoli is any indication, this is not about to happen. 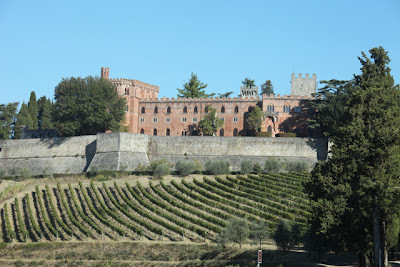 The exchange was prompted by my post here on our visit to Castello di Brolio during the post EWBC Chianti Classico trip. it was very interesting reading your blog after your visit here in Brolio last October 18, and I fully agree with you that Rocca Guicciarda 2008 is a lovely wine! In essence, dear Jim, “terroir” is about geography, geology, climate etc… and not about grape varieties …!!! I always respect different opinions from mine but I hate stupidity, therefore I decided to write you. Have a great day my friend, and come and visit us again in the near future. forgive my poor written English. Terroir (French pronunciation: [tɛʁwaʁ]) comes from the word terre "land". It was originally a French term in wine, coffee and tea used to denote the special characteristics that the geography, geology and climate of a certain place bestowed upon particular varieties. Agricultural sites in the same region share similar soil, weather conditions, and farming techniques, which all contribute to the unique qualities of the crop. It can be very loosely translated as "a sense of place," which is embodied in certain characteristic qualities, the sum of the effects that the local environment has had on the production of the product. Terroir is often italicized in English writing to show that it is a French loanword. The concept of terroir is at the base of the French wine Appellation d'origine contrôlée (AOC) system that has been the model for appellation and wine laws across the globe. At its core is the assumption that the land from which the grapes are grown imparts a unique quality that is specific to that region. The amount of influence and the scope that falls under the description of terroir has been a controversial topic in the wine industry. This is the second time you have accused me of stupidity and I reject the charge on both occasions. Thank you but I'm very well aware of the meaning, elements and significance of terroir. Although in my experience if you ask people to define exactly what they mean by terroir you will see considerable variations in the reply. Clearly grape varieties are not terroir but they are a part of matching the right variety to a particular site or terroir as your definition suggests. The choice Pinot Noir and Chardonnay in Burgundy is now inextricably linked to terroir. Similarly in Vouvray the terroir is ideally suited to Chenin Blanc (plus Arbois if you wish) that the variety is now part of the terroir and part of the appellation's heritage. It would be possible to plant Chardonnay here but the results would clearly not be the same and you would no longer have wines that have the potential to age for more than 100 years. 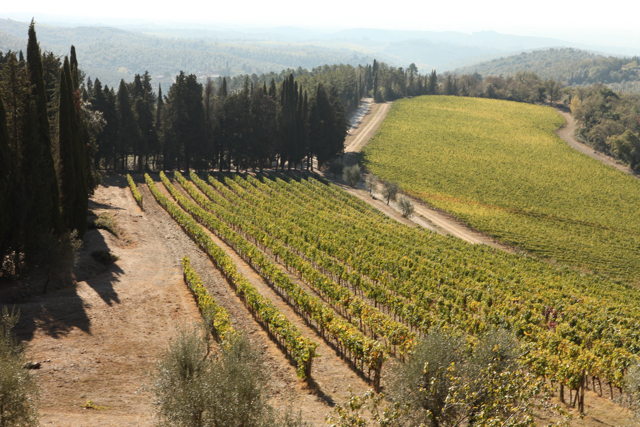 At Ricasoli you have carefully mapped out where your various varieties are planted and linked this in with elevation, rainfall etc, so you understand the link between terroir and grape varieties. I suspect that we are both convinced 'terroirists'. My point is that if you are so convinced about the importance of your specific terroir why use imported French varieties to express your terroir? Surely it would make more sense to explore what a range of local, indigenous grape varieties would give. Then you might find that your wines would have a truer interpretation or expression of the terroir of Brolio. You don't even deserve a proper answer my friend since you might be an expert of Loire, but you are far away from knowhing (and understanding) the complexity world of Ch. Classico and Brolio particularly when you are stating what you just wrote at the end of your below mail. Sadly you may not be in a position to answer my last paragraph, which might be why you dismiss it out of hand. Do you know? Have you experimented with a blend of indigenous varieties? If so with what results? As a Ricasoli are you not tempted to search for a modern day 'Chianti recipe' using a blend of indigenous grape varieties matched to the terroir? Incidentally what are the average picking dates for Merlot, Cabernet Sauvignon and Sangiovese along with Canaiolo and Colorino if you have any planted please? Happily I have asked similar questions of other Chianti Classico producers during my visits in the past and received considered and thoughtful answers. Is Café de la Paix supplied by 1855?